I am excited to host my husband’s family for Christmas Eve this year, and I’ve been planning ahead for the meal and table settings this week. Planning ahead helps me control what I can control. 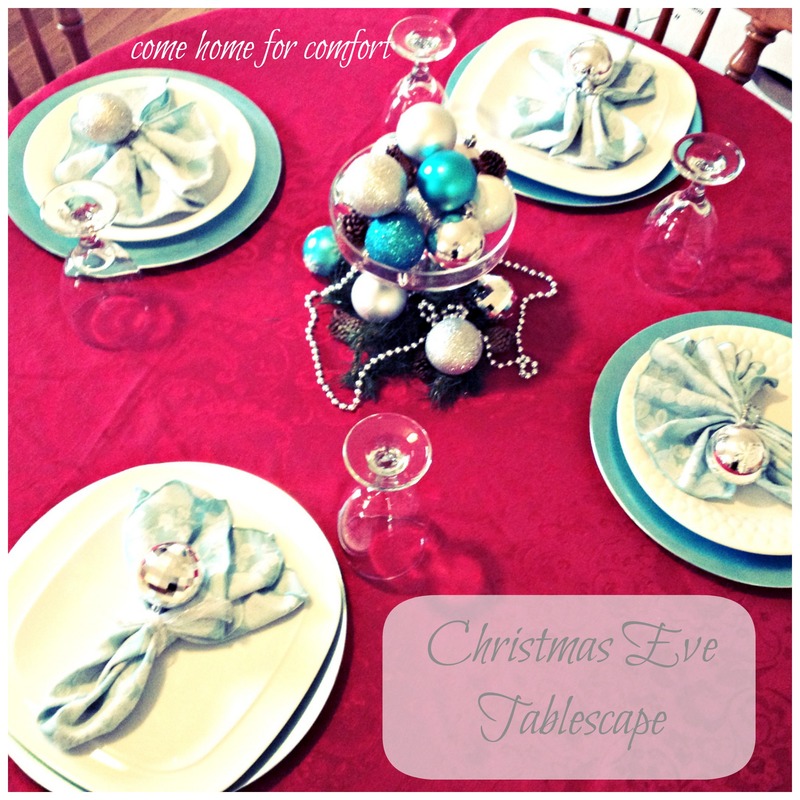 I saw my turquoise napkins in a drawer the other day, and it inspired me for my Christmas Eve table setting. I did a “dry run” this week and it turned out pretty nicely. 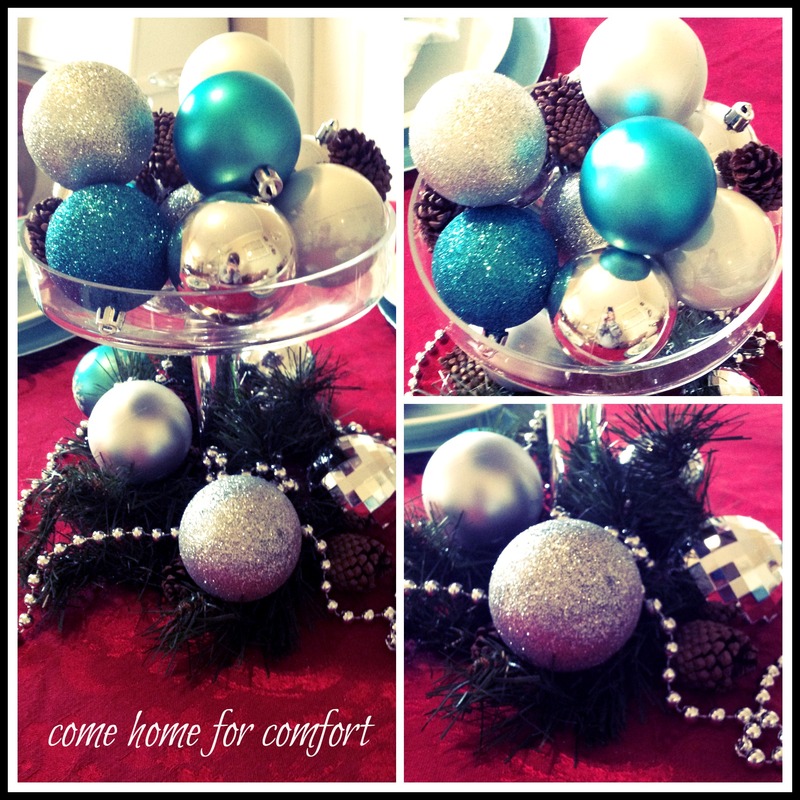 I want to keep the table setting simple, elegant and in line with the rest of my Christmas decor in the house. I am using red, turquoise and silver this year and I have plenty of dishes and linens to work with that color scheme. Here’s what I put together: The tablecloth is a very Christmasy red with a paisley design. Turquoise chargers are underneath my set of mismatched white dinner plates. 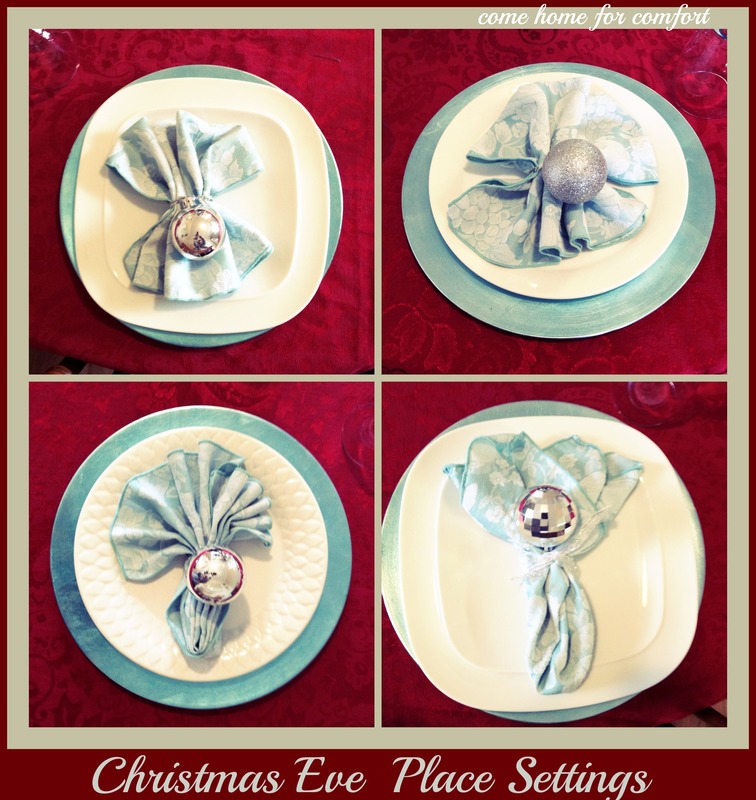 I attached silver ornaments to silver pipe cleaners and created festive napkin rings. I haven’t decided yet which napkin fold I’ll use. Leave me a comment if you have a favorite! It feels good to already have this part done! On to the menu! I’m linking up with The Recipe Critic’s Time To Sparkle Link Party! Another pretty table! I really like the red and turquoise together. Beautiful table setting. I like the bottom right napkin fold, also. You are so creative. 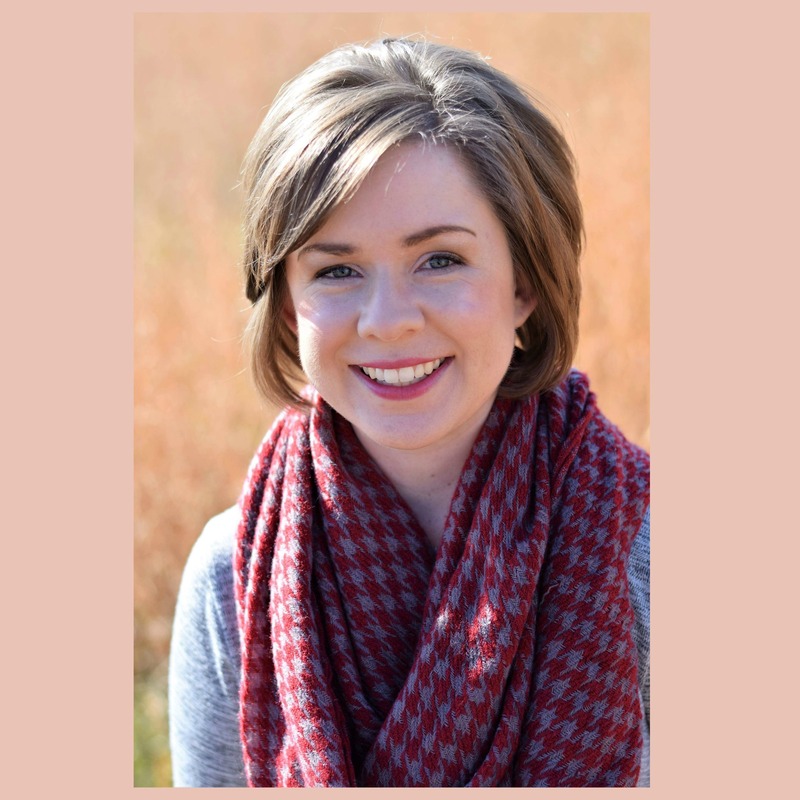 You make your home and table so inviting to people. 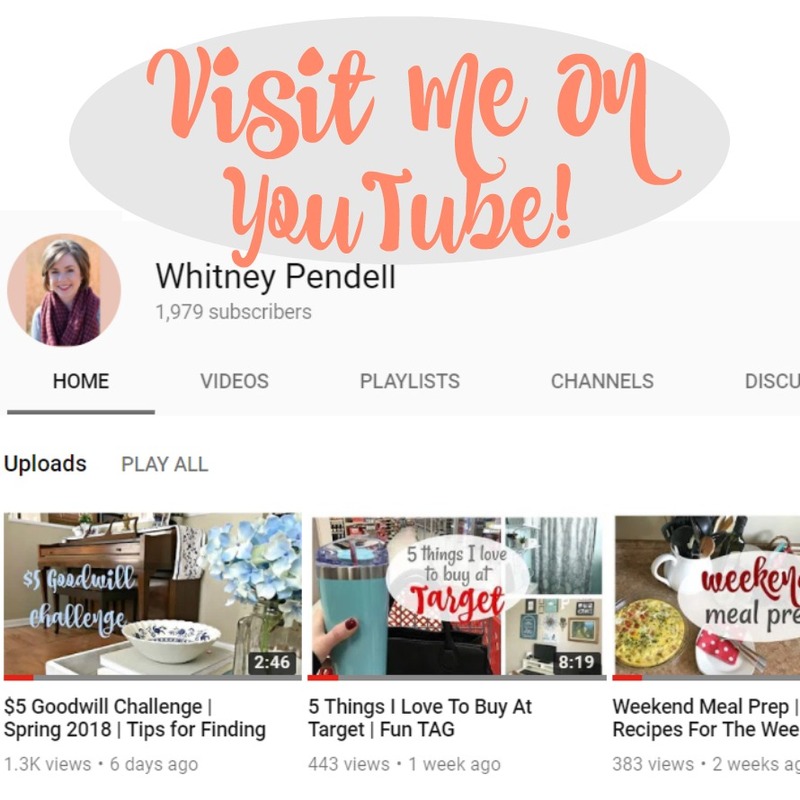 You are so very creative! I personally like the bottom right napkin fold. Such beautiful ideas! You’re so sweet, Anna! Thank you!